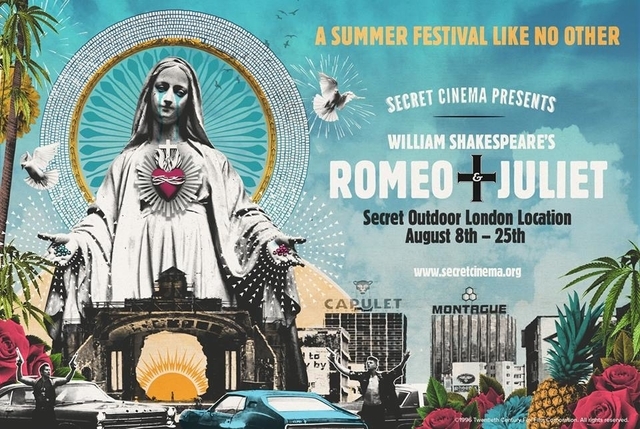 Secret Cinema has done it yet again, this time with their excellent production of Baz Luhrmann’s seminal 90s masterpiece; William Shakespeare’s Romeo + Juliet. It delivers a fantastical backdrop that takes movie-lovers to a whole new world of wonder, transcending the shackles of most event-movie experiences. Secret Cinema remains the benchmark for how to wow an audience in terms of scale and endeavour and their latest season is one of their very finest – transporting guests to the beaches of Verona and directly into an uneasy truce between the houses of Capulet and Montague. This is Secret Cinema so I won’t go into too much detail about the production or divulge the location, but it’s worth noting that it takes place in Greater London and it’s in a similar scale to their benchmark Back to the Future celebration from back in 2014. That was the event that really started Secret Cinema’s rise to this new level of entertainment production by upping the ante and doubling down on the scale and experience that ticket holders will have. 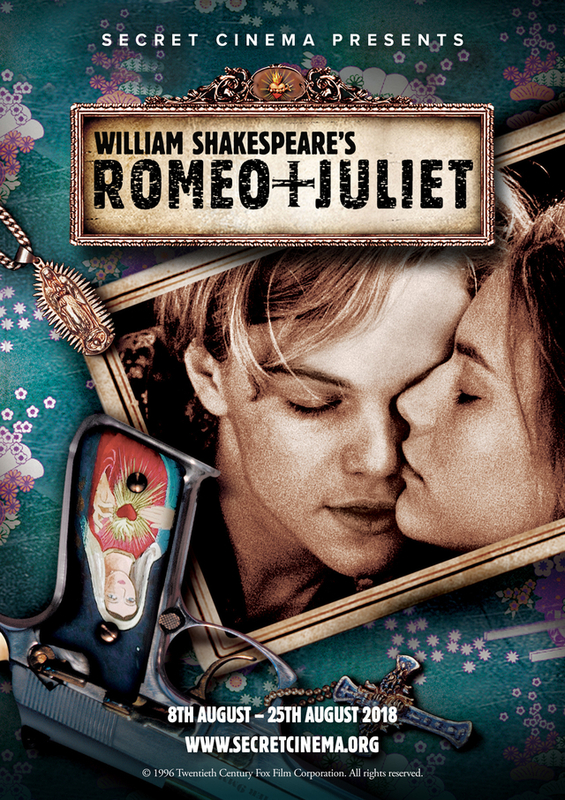 Romeo + Juliet is beautifully realised with sets, dressings and experiences that capture that essence of magic that has made Luhrmann’s movie such a beloved classic. You get what you give in terms of Secret Cinema – that’s always been the case – and now audiences are much more prepared to come dressed up and in-character for the festivities. Granted this isn’t to everyone’s taste, but even wallflowers can hang back and enjoy the ride here. Once you get your tickets you are emailed all of the pertinent information. There’s an online shop which can aid you with some costumes. Thankfully, Romeo + Juliet is quite easy for inspiration. You can’t go wrong with a Hawaiian shirt, a masquerade mask or some wings and it’s a lot cheaper to come prepared for this production compared to the complex costume choices required for past shows like The Empire Strikes Back. The actors deserve a lot of plaudits too for bringing this mesmerizing world to life. Never breaking character and always willing to interact with you, Romeo + Juliet benefits from a fine balance of performance and spectacle. There’s so much to discover and you’ll be rewarded for exploring your environment. Again, I won’t go into detail but get there early and allow yourselves plenty of time to wander around the grounds and see (and speak) to the various colourful characters that make up Romeo and Juliet’s world. Music is so important to the legacy of Luhrmann’s Romeo + Juliet, with the film possessing one of the finest soundtracks ever made. This is a key component to Secret Cinema’s production too and they fully utilize the potential of the music to create some cool scenes and experiences. There’s one attraction to visit which really pulls out all of the stops and delivers a party atmosphere that is simply superb. Of course, none of this comes cheap. Secret Cinema presents William Shakespeare’s Romeo + Juliet is a big endeavour with big admission prices to match. The standard tickets are called Young Hearts & Rogues and will set you back around £75 per person. Nobles & Underbosses VIP tickets will set you back a cool £125 but that gets you additional perks which certainly helps you get the most from your experience. You’ll get a reserved screening area, cushioned floor seating, dedicated VIP hosts to introduce you to the world, 2 drinks and 1 meal per person and crucially, fast-track entry. The area can hold around 5000 people and that means big queues. VIP’s can come straight to the front for their own dedicated entrance and it honestly saves you a lot time – something which is much better spent exploring the wonders within. Credit: (c) 1996 Twentieth Century Fox Film Corporation. All rights reserved. You can’t bring food or drink in with you so there’s that cost to keep in mind too. It all adds up (and quite quickly too) so be prepared to bring your wallet. The cost is big and there’s no getting past that, and it’s a shame that this experience will be too pricey for a lot of people to take a chance on. I totally understand that, and personally I’d like to see the cost come down a bit to help people take a chance on Secret Cinema. This is best experienced when you have a group of friends with you but it’s an expensive endeavour to undertake. Once again, you’ll have to put your phones in a plastic bag before entering and I completely understand the reasoning for this. We are tied to our phones these days so it is nice to be in the moment and not be distracted. However… this is a wonderful experience that’s been painstakingly put-together and one that I would personally want a photographic record of. The sets are great, the main stage which houses the screen is magnificent (themed to Sycamore Grove) and with everyone in costume and dressed up, it would be a great keepsake from a fantastic experience. Perhaps there’s a compromise to be made where you can take pictures on their devices but you can’t get the digital images sent to you until after the run has finished? Logistically that’s probably a nightmare and no doubt an additional cost to take on for punters, but it would be nice to have the option. And if you’re tempted to sneak a few shots of this production don’t – it ruins the experience for others yet to attend, and there are plenty of wardens patrolling the grounds keeping an eye out for that so best not to attempt it. The weather is a big factor in terms of your enjoyment too and this amazing summer we’ve had lends itself perfectly to Romeo and Juliet. However the recent rain storms have been a genuine problem, with one night cancelled and other nights hampered by wet conditions. Bring warm clothing because the weather can turn quite quickly and also take something waterproof to sit on. 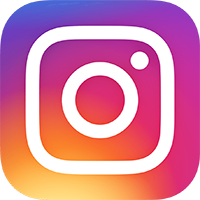 The Secret Cinema website and social media presence has a few tips to prepare you should the weather be adverse. I lucked out when I attended, with only light showers towards the end of the night. Thankfully I did most of the event in good weather and it really does help sell the dream. Secret Cinema presents William Shakespeare’s Romeo + Juliet is a sensational experience that does the film proud. Even the great Baz Luhrmann made a surprise appearance last Saturday and was impressed with the production – and that’s really the best praise you can ever get! Anyone who has been bewitched by Luhrmann’s beguiling film will leave very happy, knowing that the production has honoured the original with pure passion and spectacle. As with most Secret Cinema productions, die-hard fans of the film will benefit most and will take in much more than the casual attendee. But that’s kind of how it should be. This is a celebration of a specific film and it pays homage to that wonderfully – and it’s the best celebration you’re likely to see this side of the Atlantic. With plenty of surprises and spectacle on-show, Secret Cinema presents William Shakespeare’s Romeo + Juliet is a 5 star adventure that will delight and enchant.